ACCESS CONTROL – In Sync Systems Inc. The safety and security of your employees and your work environment is critical and should not be taken lightly. An access control system allows you to control who can enter your facility or certain areas of your building. These door security systems allow administrators to track their employees’ activities and help monitor the overall safety of their establishment. Door entry systems include a variety of tools to restrict access to areas of a building and secure your facility. These systems can be as simple or as complex as you desire, and can be installed in all sizes and types of buildings. 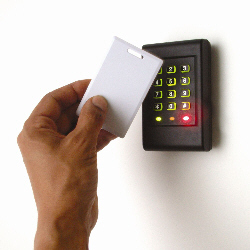 Many of the popular access control tools include keypads or card readers for specific doors in your building. 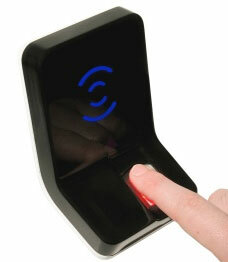 Additional options include video surveillance and biometric scanner options.